During the Silver Age of Marvel comics, one of the more fascinating relationships featured two characters from different titles. 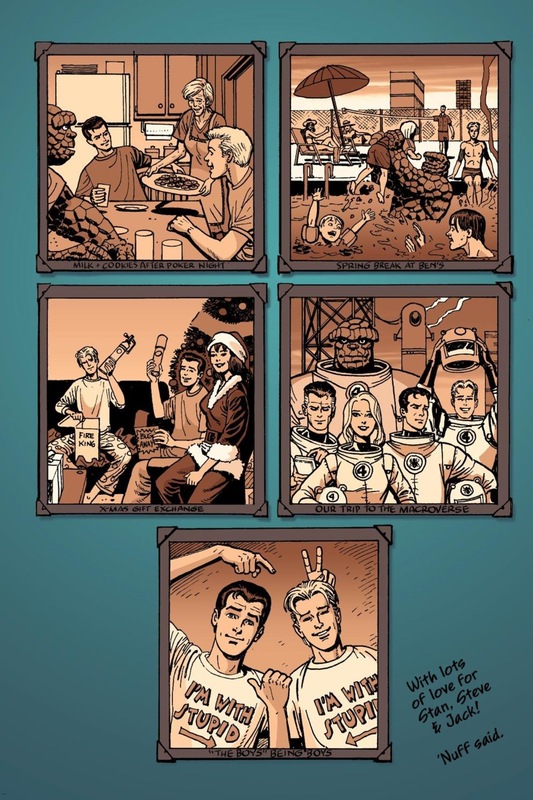 Spider-Man and Human Torch, Peter Parker and Johnny Storm respectively, were Marvel’s flagship teenage superheroes. But rather than team together to create crazy pubescent hijinks a la Archie and Jughead, Spidey and Torch started out as bitter, heated rivals before finally evolving into (a more fan-friendly) sibling rivals. 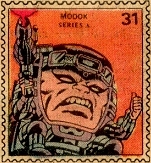 The dynamic between the two characters is a phenomenal example of what made Marvel’s cast of characters so unique and different from the Distinguished Competition during this era. Stan Lee, Jack Kirby and Steve Ditko had an inherent understanding that teenagers were unpredictable raging vessels of hormones and thus couldn’t always be counted on for behavior that was conventional for “traditional” superheroes. Parker and Storm had different social and economic backgrounds and went about their superhero business in starkly different ways (Johnny could be out in the open about his Human Torch identity, while Peter had to live in secret). Marvel couldn’t just plop the two of them on the page and expect reasonable synchronicity. And while I’ve always been a Spidey superfan, I also have a huge soft spot in my heart for Johnny Storm precisely because of this wonderfully comedic and occasionally heart-warming dynamic. The two characters interacted early and often. The entire Fantastic Four team guest stars (and is featured on the cover) of the inaugural issue of Amazing Spider-Man, and in ASM #3, a despondent Peter Parker, having been recently defeated by future greatest nemesis Doctor Octopus finds inspiration to fight on in a speech Storm gives at his school. While Torch doesn’t realize it, by saying “don’t be discouraged if it sometimes seems tough,” he essentially gives birth to one of Spider-Man’s most popular personality traits – his never say die, regardless of the odds, spirit. The first comic to actually focus exclusively on the Spidey/Torch dynamic was one of Marvel’s old monster magazines, Strange Tales. In the ST Annual #2, which, depending on your source, chronologically took place between ASM issues #3 and #4. 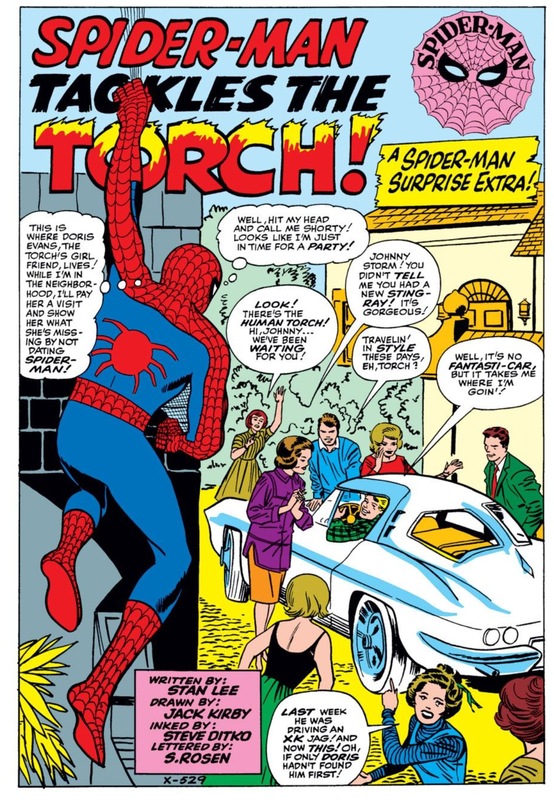 In this comic, Spider-Man travels out to the suburbs of Long Island to solicit help from Torch, “a teenager like me,” after being framed for a robbery. But again, rather than going the obvious route and make a Bosom Buddies style comedic romp to clear Spidey’s name, Lee/Ditko/Kirby created a more hostile relationship. This certainly wasn’t how two superheroes ever talked to each other before. I don’t even think that’s how heroes and villains talked each other, despite the copious amounts of hokum that filled Stan Lee’s comic book bubbles during the Silver Age. And yet that’s the early Spider-Man/Human Torch dynamic in a nutshell: some “poopy-head” level insults before they inevitably and reluctantly helped each other out of a jam. By the time Torch catches up with his new adversary in ST Annual #2, Johnny is stewing over Spider-Man’s “showing off” (similar words would eventually be used to describe Spider-Man’s opinions of Storm). Spider-Man meanwhile accuses Torch of only caring about “headlines” (we just saw the inverse of that earlier in this comic) and not wanting to share the attention. When the two finally put aside their differences, they meet up for the first time at what would later become their trademark rendezvous spot, the top of the Statue of Liberty. Chronologically, the next big Spider-Man/Torch story came in ASM #8. Interestingly enough, Lee/Ditko made the decision to portray Spider-Man as a petty creep in his very own comic book series. He crashes a party at Johnny’s girlfriends house and tries to win over the Torch’s entourage. 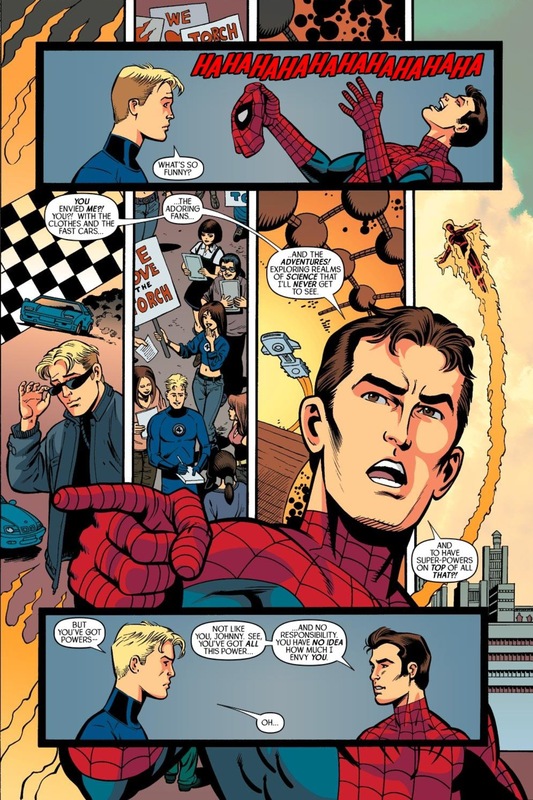 In a “Pete Best forever, Ringo never” moment that would then be flipped on its ear during the inaugural meet-up of the Spidey fan club in ASM #17 (a gathering that Torch crashed), Johnny’s buddies want nothing to do with the Amazing Spider-Man. 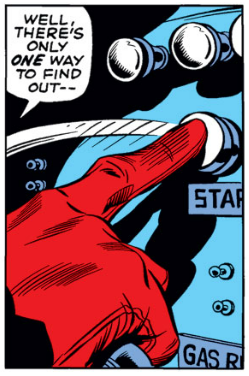 It’s worth noting that in a pretty “groovy” Ditko splash page that looks like something out of a 60’s teen flick, Spidey watches Torch from outside his home and stews about him “showing off” for his friends (I told you we’d revisit that insult from the other hero’s perspective). As these meet-ups happened with more frequency (and in the pages of ASM, they happened nearly every other issue) what starts to become clear is that Spidey thinks of Johnny Storm as the super-powered version of Flash Thompson, Peter Parker’s high school bully and nemesis. Torch has it all – a pick of teenaged women to date (though sadly, none were drawn by John Romita Sr. and thus didn’t have those comic book pin-up qualities that defined Gwen Stacy and Mary Jane Watson in the mid-to-late 60s) and an adoring public that doesn’t think of him as a criminal. Meanwhile, despite having so much good in his life, Peter resents how Storm still acts like a goofy egotistical teenager and doesn’t adopt something similar to Spidey’s “with great power comes great responsibility” mantra. Given that Ditko, who plotted the bulk of these issues, was a renowned follower of Ayn Rand and her objectivism philosophy, it’s no shock that Spider-Man would deride the less “serious” superhero. But it’s not like Spider-Man is an innocent bystander in all this. Torch often calls him out for being a “creep” and justifiably so. As Spidey’s biggest fan, I can’t find any kind of defense for a “hero” crashing a party thrown by another hero’s girlfriend. 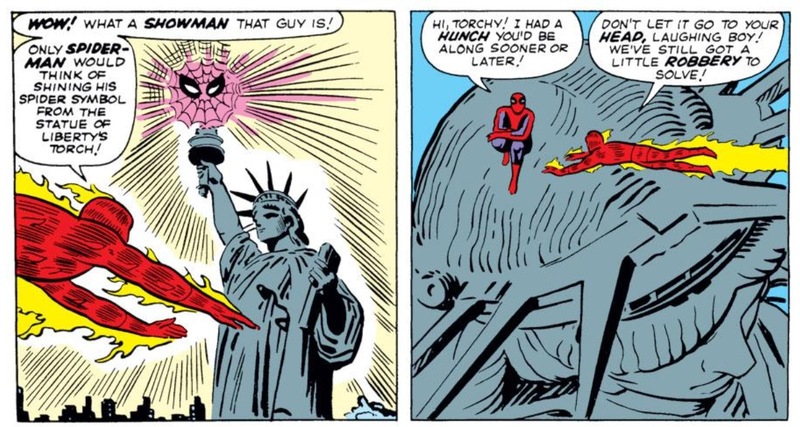 I love ya Spider-Man, but if you’re going to pass yourself off as so self-assured, why are you constantly stroking your own ego and asserting your dominance over Human Torch? Considering how Peter always had to pull his punches with Flash because if he really ever socked it to him with all his Spider-strength, he’d probably kill him, it’s interesting to see this nastier side to Parker when he’s wearing a costume and attempting to stick it to another super-powered teenager who can probably hold his own in a fight. As the stories transitioned from the Silver Age to the Bronze Age, the Cold War between Spider-Man and Torch would thaw, and the barbs would evolve from petty sniping and insults, to a more big brother/little brother rapport. In what may go down as one of the funniest panels in Spider-Man comic book history, Torch digs up an old Fantastic Four costume and a brown paper bag for Spidey when the Web Slinger learns his newly found black suit from Battleworld is actually a living being hosting on him, and thus needs to be destroyed. Spidey is non-too-happy, but telling “flamebrain” that he’s going to “get you for this,” feels a lot less tense than crashing his house party and trying to make him look like an idiot in front of all of his civilian friends. In modern comics, the Spider-Man/Human Torch dynamic has been explored by writers with mixed results. 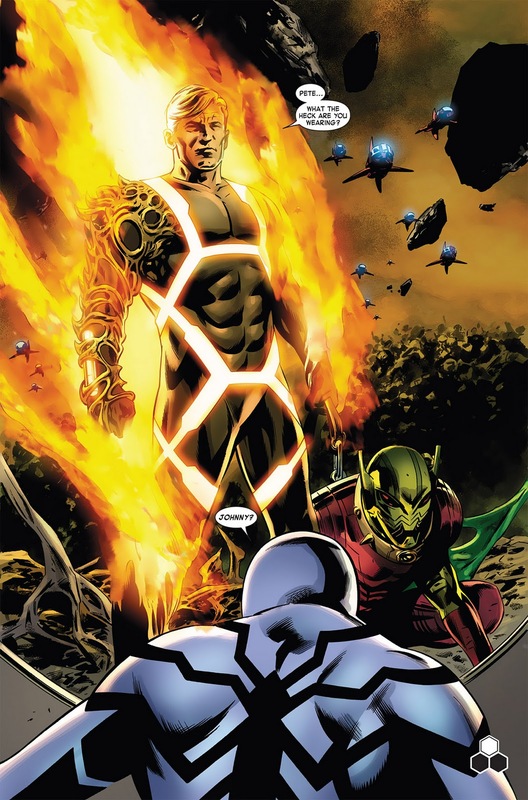 In 2005’s Spider-Man/Human Torch five-issue mini-series, penned by current Spidey scribe Dan Slott, new information and adventures featuring the duo was retconned to provide more depth about the relationship. The series, which takes place in the past but features previously unpublished adventures, displays when and how the rivalry evolves into a friendship. 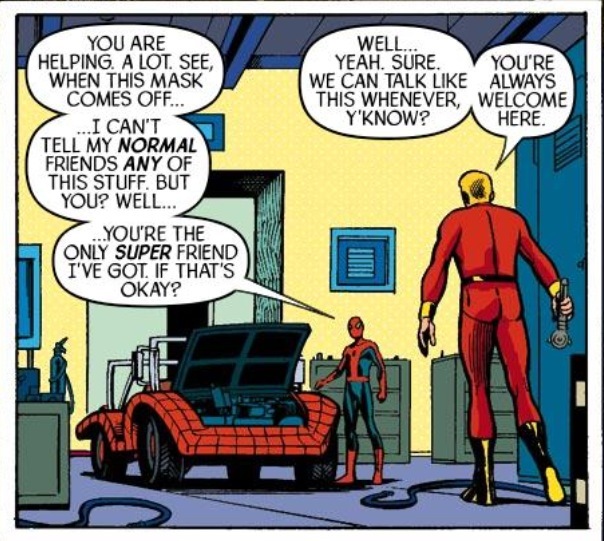 In ASM continuity, in the wake of Gwen Stacy’s death, Spider-Man is asked to build a “Spider Mobile” (this is a topic for another post) and he gets Torch to help him out with some of the mechanical engineering elements. 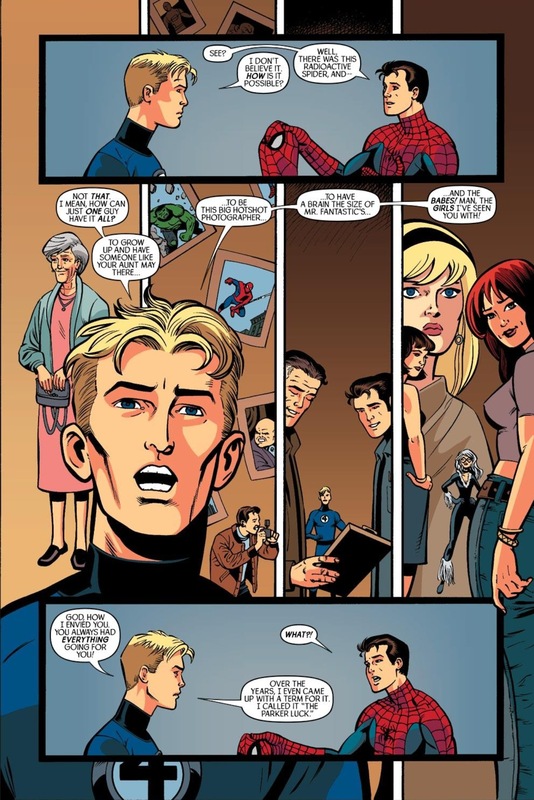 In Slott’s mini-series retcon, Spidey and Torch have a somewhat touching moment when the Web Sligner admits that the only person he can talk to about his “loss” is Johnny Storm since he can remain completely anonymous about his guilt (something that Peter couldn’t just talk to Flash Thompson or Mary Jane about without admitting the reason he felt guilty about Gwen’s death is because he’s Spider-Man and he couldn’t save her). Then, in one of the series most memorable moments, Peter reveals his secret identity to Johnny in an effort to save an auditorium full of kids from some New York gangsters. After the two heroes save the day, Peter and Johnny have a heart-to-heart where all of their grievances are aired. 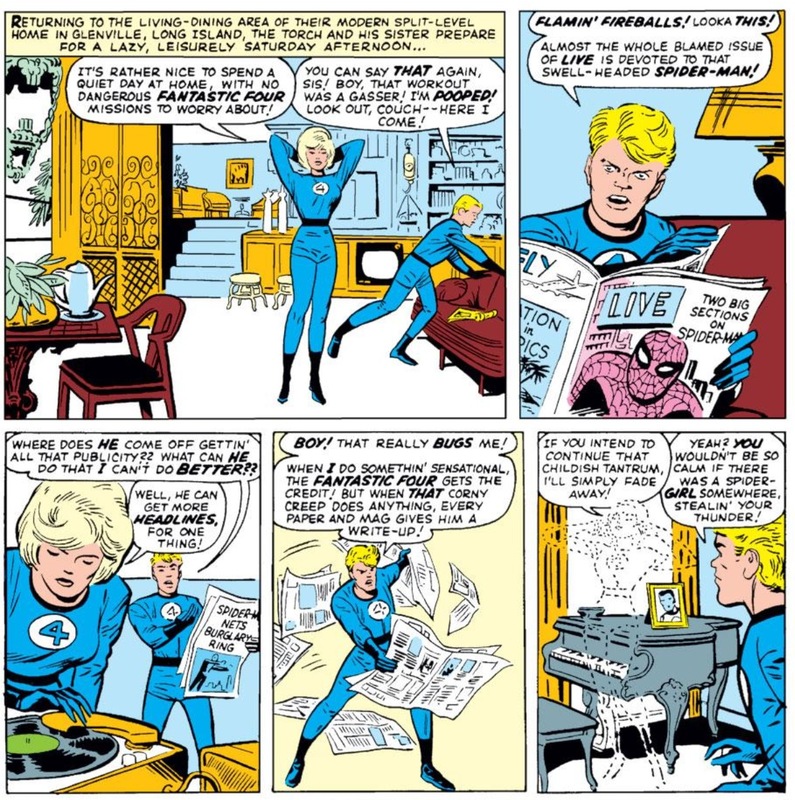 Johnny believes Peter “has it all,” superpowers, a model wife and brains, while Peter scoffs at the idea and talks about how he has always envied Johnny for having superpowers but no responsibilities. Yes, Slott is basically hammering the reader over the head with 40+ years worth of subtext from the likes of Lee, Ditko and Kirby, but it’s a refreshing moment all the same to have these ideas out in the open. It’s the most fitting way to craft that reunion. 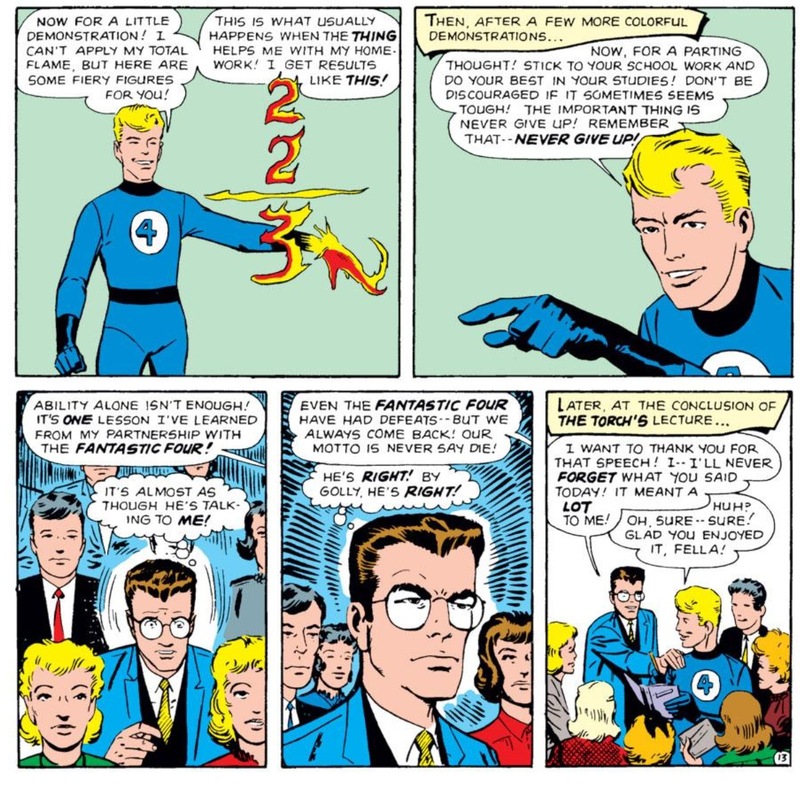 Even in his return from what was believed to be his death, Johnny couldn’t resist ribbing Peter, while simultaneously saying what everyone following the FF/Fantastic Four series was thinking: “seriously, what was Marvel thinking trying to replace Human Torch with Spider-Man of all people?” If the Silver Age taught us anything it’s that just because two characters are the same age, doesn’t mean they should automatically be interchangeable parts. Superheroes, like people are all different. Some have power, and others have power AND responsibility. Some have secrets to hide, and some can be public celebrities. And there’s only one Spider-Man and one Human Torch. Thanks again to Mark for another terrific Longbox Graveyard column! Mark will be back in a couple weeks with an article about Bronze Age Spider-Man (or is that the “Dark Age?”). In the meantime, be sure to catch Mark over at his home blog — Chasing Amazing! Face To Face With … The Lizard! And Don’t Forget The Human Torch: Flame On! Posted on June 19, 2013, in Conspectus and tagged Amazing Spider-Man #258, Amazing Spider-Man #3, Amazing Spider-Man #8, Comics, Dan Slott, Fantastic Four #600, Human Torch, Spider-Man, Spider-Man/Human Torch, Strange Tales Annual #2, Teenagers. Bookmark the permalink. 53 Comments. Jenkins penned a fun issue in his Spectacular run where Spidey takes his girl problems to Torch for advice. These two are just enough alike and yet different to have that energetic chemistry that distinguishes some of the best real friendships. Although we couldn’t get into Hickman’s popular run like we did Millar’s, Spidey’s costume rocked. But, he could be in an expensive tux, and Torch would still give him a hard time! By the way, Paul, your new LBG headquarters looks awesome. Nice work. Looking more like a vintage comics reading room than a graveyard these days! … ably supported and abetted by guest author Mark Ginocchio, who turned in another awesome Spider-Man piece in this week’s article, which is already well on the way to being the centerpiece of the single biggest traffic day that Longbox Graveyard has ever experienced. Take a bow, Mark! This takes me back to Frenemies, a 2012 television film and anthology based on the novel of the same name by Alexa Young which premiered on Disney Channel. Going from friends to enemies and back again! WOWWW …. First time here, and … Will follow …. Keep writing. Congratulations on the Freshly Pressed. This is an awesome piece of mastery. Love it! Glad you liked it. Thanks for the repost! The development of complex relationships over time — even when that development is sophomoric, or kind of accidental and undirected — is one of the unique and genuine pleasures of long-form, serialized drama like comic books. The individual parts are the results of diverse hands and there is rarely any kind of master plan, but if you stand back from the canvas and look at it the right way, a purposeless purpose appears. 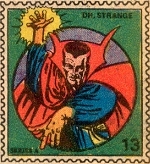 Send your thanks to Steve Ditko, Ty Tempelton and Steve Epting! Thanks for reading! This is excellent. Well done. — J.W. Reblogged this on Chinese Massage. Reblogged this on Alan Tek Hughes Blog . First time here! Im sure ky kids will love these. Keep it up! Welcome! Thanks for reading and posting. We do encounter some rivals from time to time. We often make them our frenemies because we just don’t know how to deal with them. Spiderman and the human torch are the good example of this relationship. Stimulating post. If only there was a “Guide To Attract Women Blog” where we could cast these feelings into words! Congrads on getting fresh pressed. Just found you. Glad Mark contributed this piece … it has proven extraordinarily popular here at LBG, and it fills a double gap in my own particular knowledge, as it covers Spidey/FF (neither one of which I follow closely) and in the Dan Slott stories also comes from a time when I was in my Odinsleep away from comics. I need a couple long weekends to hide away with my digital sub to get caught up on this stuff!